We’ve been itching to tell you about this one for ages. After our initial meeting and being informed that a new exciting airline was joining Southampton Airport, we have been going orange mad! 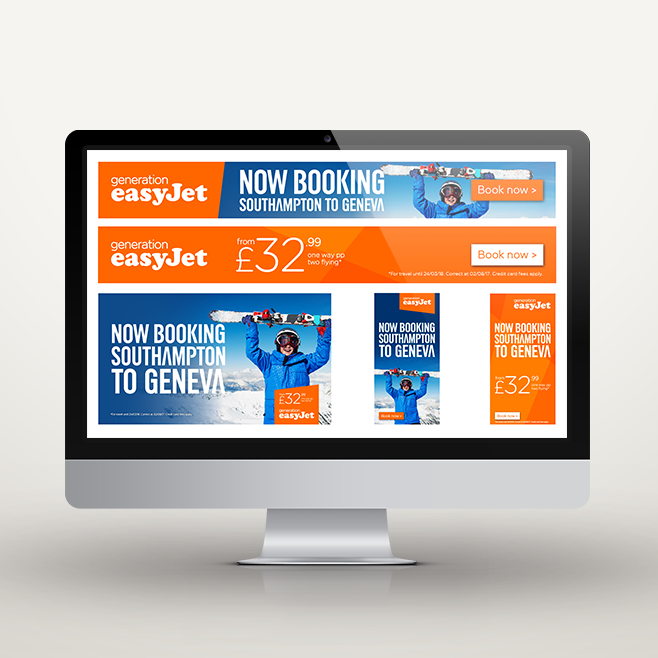 With the announcement of the new Easyjet route from Southampton to Geneva, we’ve been busy designing all sorts of promotional materials. For this exciting campaign we’ve created exhibition graphics, print & transport adverts, digital banners and flags (for the New Forest Show), not to mention a whole load of promotional products. You may even see some of our designs passing you on the street on the side of a bus or as you enter through the airport entrance – they really are pushing any available space! Working with these iconic brands has been great. 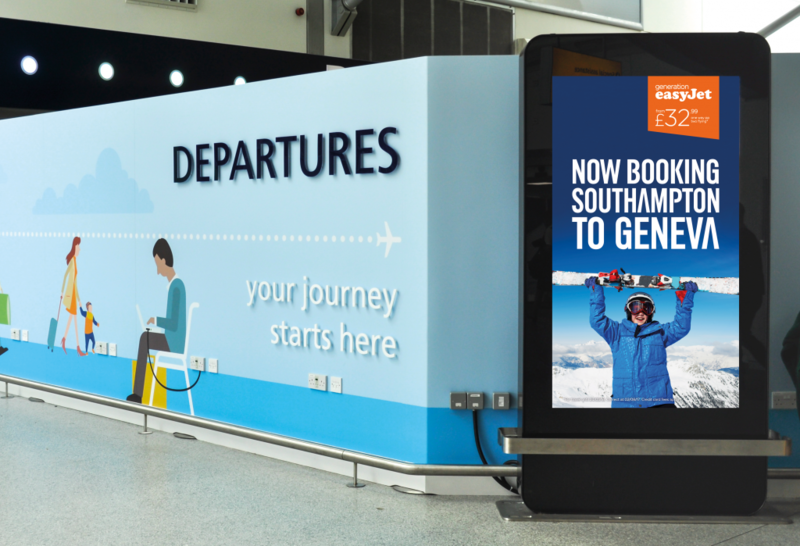 We have loved seeing Southampton Airport’s brand grow in strength, so it was no surprise for us to hear that EasyJet was coming on board. And being big on holidays, our MD insists J, we think it’s magical watching the early morning jet streams and guessing where people are off to, what adventures they are going to have and of course plane spotting the orange ones! A great brand even stands out in the sky. It’s been a massive team effort, even Laura’s children have been involved, posing for photos in Whiteley for a chance to win flights to Geneva! If you fancy heading to Geneva for a ski holiday this winter? Find out more on the Southampton Airport website. Breeze through Southampton airport and fly to Geneva in less than two hours – and enjoy this little city with a big personality. 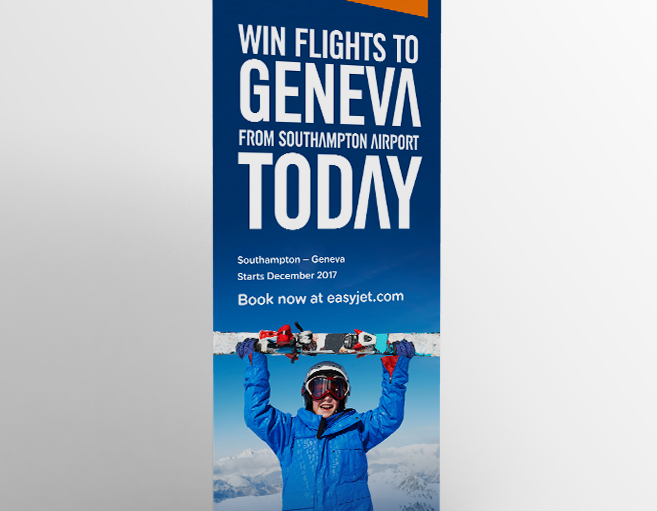 If you don’t fancy Geneva, Southampton Airport also fly to loads of other ski resorts – check out their destinations and hit the slopes.